Make your car pop with an effective wheel powder coating that stands out from the rest. 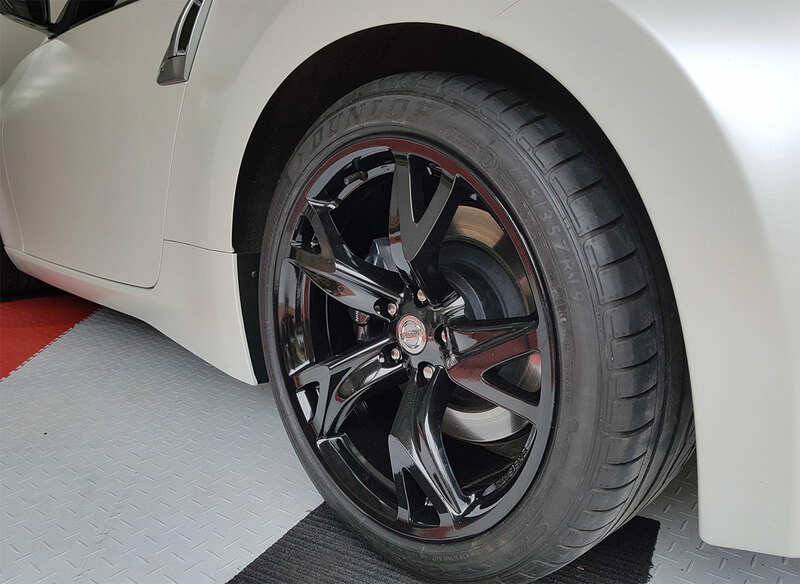 At I’m Wrapped Vinyl Graphics, we offer a range of options for powder coating in Melbourne, including powder coating wheels and powder coating rims. Whatever look you wish to achieve for your wheels, you can rely on our powder coaters in Melbourne to obtain the best results. What is Wheel Powder Coating? Powder coating is ultimately a type of paint coating that’s applied as a free-flowing dry powder before being cured at 200 degrees Celsius. The curing stage ensures a painted surface which is durable and hardened. Not only will you enjoy the aesthetics of colours, but you will also enjoy a coating that’s harder, tougher and more durable than any other conventional paint. Wheel powder coating technology is fast emerging and offers all kinds of automotive enthusiasts a beneficial wheel colour change. At I’m Wrapped Vinyl Graphics, we provide customers with expert wheel powder coating in Melbourne, with a wide range of colours available. Forget about plastidip – make sure your colours don’t fade and dull by getting lifetime durability with powder coating of wheels in Melbourne! To learn more about powder coating rims and wheels, get in touch with our powder coaters in Melbourne today. Whether you need help powder coating alloy wheels or standard wheels, we’ll be happy to provide you with more information and answer any questions you may have about the process.